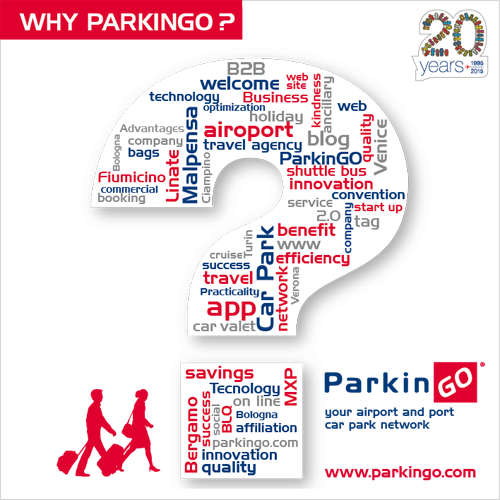 ParkinGO propose its parking services agreements to sole trader, freelance, companies with travelling representatives granting competitive rates and high quality standards. Moreover, each contracted company has the chance to check and supervise all the transactions generated by its personnel at ParkinGO stations through a company and/or personal account enabled on my.parkingo portal. Some important international industries have saved a lot of money (till 70%) on parking costs. Saving money on the park, doesn't means refusing the quality. All the parks are near the airport and have surveillance and security 24h.